Managing uncertainty in predictions of climate change and impacts | Climate Etc. Climatic Change has a new special issue: Managing Uncertainty Predictions of Climate Change and Impacts. The simple example above illustrates clearly that the choice of ensemble sampling strategy and goodness-of-fit metric has a strong influence on the forecast uncertainty range. As it is well known, the uncertainty in projections for unrestricted ensembles is significantly different depending on the modeling strategy (CMIP3 vs climateprediction.net). When observations are used to constrain uncertainty ranges, the result depends not only on which observations (and what temporal and spatial scales) are used to construct the metric, but also on the relationships between that information and the forecasted variables. The proliferation of approaches to uncertainty analysis of climate forecasts is clearly unsatisfactory from the perspective of forecasts users. When confronted with a new forecast with a nominally smaller range of uncertainty than some alternative, it would take considerable insight to work out if the difference results from arbitrary changes in metric, or ensemble sampling, or from new information that reduces the uncertainty in the forecast. The assumptions about the decision criterion employed in the analysis are naturally related to the assumptions underlying the generation of the climate forecast. Scenario analysis, robust control, or info-gap frameworks do not rely on probabilistic information or even ranges, but focus on the impacts of decision options and system response under a range of possible futures. However, the applicability of these types of analysis to future decisions rests on a sufficiently comprehensive coverage of the space of possible future climate states. Climate ensembles providing a range of possible futures can be utilised in decision analysis using the MaxiMin (pessimistic), MaxiMax (optimistic) or Hurwicz (mixture) criteria, which only rely on information about the worst and/or best possible outcomes. The expected utility decision criterion is widely used in cost-benefit, cost-risk, and cost-efficiency analyses in the climate change context as the current standard of normative decision theory. It requires information about the climate forecasts in the form of probability density functions (pdfs), and naturally relates to Bayesian ensemble sampling approaches. However, among many other shortcomings, the expected utility criterion is unable to represent a situation in which the decision maker is ambiguous about the exact pdfs representing (climate) uncertainty. One possible solution to this shortcoming is the use of imprecise probabilities, where climate information would be given not as a single pdf, but as a set of possible pdfs. We close this discussion by remarking that, when considering climate forecasts for impacts studies, it is important to keep in mind that the possible range of climate changes might not be fully explored if the analysis relies solely on climate models’ projections. Changes other that the ones currently projected by climate models are plausible, particularly at impacts relevant spatial scales. Therefore decision makers should use a variety of scenarios for their planning, and not restrict their analysis exclusively to model projected ranges of uncertainties. JC comment: For context, see this previous CE post: How should we interpret an ensemble of climate models? Measures of skill play a critical role in the development, deployment and application of probability forecasts. The choice of score quite literally determines what can be seen in the forecasts, influencing not only forecast system design and model development, but also decisions on whether or not to purchase forecasts from that forecast system or invest in accordance with the probabilities from a forecast system. The properties of some common skill scores have been discussed and illustrated. Even when the discussion is restricted to proper scores, there remains considerable variability between scores in terms of their sensitivity to outcomes in regions of low (or vanishing) probability; proper scores need not rank competing forecast systems in the same order when each forecast system is imperfect. In general, the Continuous Ranked Probability Score can define the best forecast system to be one which consistently assigns zero probability to the observed outcome, while the Ignorance score will assign an infinite penalty to an outcome which falls in a region the forecast states to be impossible; such issues should be considered when deciding which score is appropriate for a specific task. Ensemble interpretations which interpret a probability forecast as a single delta function (such as the ensemble mean) or as a collection of delta functions (reflecting, for example, the position of each ensemble member) rather than considering all the probabilistic information available may provide misleading estimates of skill in nonlinear systems. Scores can be used for a variety of different aims, of course. The properties desired of a score for parameter selection can be rather different from those desired in evaluating an operational forecast system. 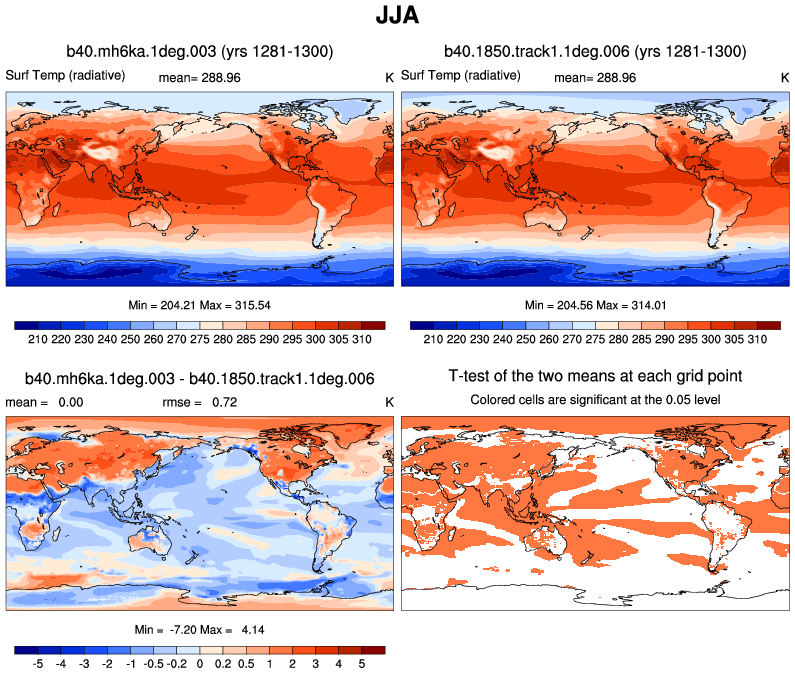 A general methodology has been applied for probabilistic forecast evaluation, contrasting the properties of several proper scores when evaluating forecast systems of decadal ensemble hindcasts of global mean temperature from the HadCM3 model. The Ignorance score was shown to best discriminate between the performance of the different models. In addition, the Ignorance score can be interpreted directly. Observations like these illustrate the advantages of scores which allow intuitive interpretation of relative forecast merits. Enhanced use of empirical benchmark models in forecast evaluation and in deployment can motivate a deeper evaluation of simulation models. The use of empirical models as benchmarks allows the comparison of skill between forecast systems based upon state-of-the-art simulation models and those using simpler, inexpensive alternatives. As models evolve and improve, such benchmarks allow one to quantify this improvement. Such evaluations cannot be done purely through the intercomparison of an (evolving) set of state-of-the-art models. The use of task-appropriate scores can better convey the information available from near-term (decadal) forecasts to inform decision making. It can also be of use in judging limits on the likely fidelity of centennial forecasts. Ideally, identifying where the most reliable decadal information lies today, and communicating the limits in the fidelity expected from the best available probability forecasts, can both improve decision-making and strengthen the credibility of science in support of policy making. The design of the modelling approach in much of this study aims to quantify the uncertainty in natural variability by simulating large initial condition ensembles very comprehensively; thus our conclusions are unlikely to underestimate this source of uncertainty. However, given the current general lack of skill in simulating precipitation (as opposed to, for example, temperature), the uncertainty in the model structure and parameters have been shown to be of importance for the attribution of extreme precipitation events. The addition of a perturbed parameter ensemble would enable us to quantify more accurately the uncertainty in extreme precipitation events, and this represents a promising avenue for further studies which is especially achievable with the climateprediction.net project. The uncertainty arising from the fact that we do not know how the world might have been without anthropogenic climate change has been addressed by using two different ensembles, an ensemble of the 1960s including all observed forcings and a counterfactual ensemble of the decade 2000–2010 excluding anthropogenic greenhouse gas forcing by using SSTs with the anthropogenic warming pattern removed. These two ensembles give some quantification of this uncertainty but most likely this is not comprehensive, as discussed above. This study could also be furthered, and the uncertainty in its conclusions potentially reduced, if not only the extreme event itself were analysed, but also the weather conditions leading up to the event, and the larger-scale circulation patterns as well. A more detailed description of the flood event in the context of the weather of the spring and summer of 2007, therefore, could well lead to a more accurate analysis of the change in risk of such an event occurring. JC comment: An alternative perspective on how to approach the attribution of extreme floods in the UK is provided in a previous CE post Reasoning about floods and climate change. Uncertainty about the shape of the fat upper tail of the climate sensitivity distribution can wreak havoc with economic analysis of climate policies. However, the climate sensitivity matters only indirectly. Economic analysis is sensitive to the probability of extreme warming, and high values of the climate sensitivity are only one of the factors that lead to rapid warming. As we have shown, uncertainty about the effective heat capacity also matters a great deal for economic analysis, and this uncertainty greatly amplifies the economic consequences of uncertainty about the shape of the tail of the climate sensitivity distribution. With results like these, it is perhaps understandable that some have concluded the risk of a climate catastrophe should be the sole determinant of climate policy. Whether one agrees with this assessment or not, it highlights the need to improve our understanding of the relevant risks. It would be valuable to place a greater emphasis on exploring uncertainty about the probability of very high transient temperature changes directly, which would entail a more inclusive discussion of the underlying physical uncertainties that accompany a rapidly warming world. A concrete example of this is carbon cycle feedbacks, which, studies suggest, are both influenced by and themselves influence the likelihood of higher or lower warming. A secondary conclusion relates to the importance of the damage function in economic analysis. As we saw in Section 3, with one damage function the expected value of the policy was rather insensitive to the probability of extreme warming, while another damage function makes the economic analysis hypersensitive. This is because each damage function implicitly defines what level of warming is considered catastrophic, and uncertainty about extreme warming plays a profoundly different role in economic analysis depending on how we define ‘catastrophic’. For all of the focus on the economics of catastrophic climate change, surprisingly little attention has been paid to this issue. At a basic level, we must try to understand better the limits of human adaptation to climate change. The fat tail of the climate sensitivity distribution has perhaps been an effective vehicle for bringing attention to the issue of extreme warming, but it is time to move beyond this convenient metaphor and build a scientific view of society in a rapidly warming world. JC comment: An early version of this paper was discussed on a previous CE post Tall tales and fat tails. This is a good collection of papers that deal with the messy issues surrounding how to interpret climate model simulations, reason about their uncertainty, and use them in decision making. There are unfortunately no simple solutions or recipes for these issues. I think the issues raised here need to be confronted in the context of any application of climate model predictions/projections to impacts assessment and decision making. Not only that, but when they start thinking about the risks from large increases in CO2 that don’t involve climate, such as sudden massive eco-system changes, that means even without climate impacts, fossil CO2 is a risk ideally avoided. Given that many scenarios for eco-catastrophe could involve reducing, stopping, or even reversing the current capture of part of the volume of fossil CO2 being added to the system (by existing sinks/pumps), the best approach is to focus on ambient CO2 capture. This also has the advantage that existing commitments to coal power could be counteracted later on by ambient CO2 capture, when that technology is mature. And if necessary. It would also mean another couple decades, relative to anything effective in the way of “mitigation”, for the science to advance. It it can ever get past endless iterations of GCM runs to nowhere. Nitrogen fixation rates of the globally distributed, biogeochemically important marine cyanobacterium Trichodesmium increase under high carbon dioxide (CO2) levels in short-term studies due to physiological plasticity. However, its long-term adaptive responses to ongoing anthropogenic CO2 increases are unknown. Here we show that experimental evolution under extended selection at projected future elevated CO2 levels results in irreversible, large increases in nitrogen fixation and growth rates, even after being moved back to lower present day CO2 levels for hundreds of generations. This represents an unprecedented microbial evolutionary response, as reproductive fitness increases acquired in the selection environment are maintained after returning to the ancestral environment. Constitutive rate increases are accompanied by irreversible shifts in diel nitrogen fixation patterns, and increased activity of a potentially regulatory DNA methyltransferase enzyme. High CO2-selected cell lines also exhibit increased phosphorus-limited growth rates, suggesting a potential advantage for this keystone organism in a more nutrient-limited, acidified future ocean. Those possibilities exist regardless of CO2 level. AK, quoting: This represents an unprecedented microbial evolutionary response, as reproductive fitness increases acquired in the selection environment are maintained after returning to the ancestral environment. How can they possibly know that it is “unprecedented”? Sorry, but that’s unpersuasive. It seems like belief. If there are no negative impacts, then what’s the risk. The risk of negative impacts of bad mitigation policies – like incentivising renewable energy and carbon pricing, are virtual certainties. So, unless you can provide persuasive evidence – not just statements of your beliefs – and over policies that will increase economic growth, then I am entirely unpersuaded by your belief there is a risk we should spend money on. To persuade me that GHG emissions are a serious risk, I would like to see the information I listed here: https://judithcurry.com/2015/09/07/managing-uncertainty-in-predictions-of-climate-change-and-impacts/#comment-729729 (neatly summarised in PDF’s. Sorry, but that’s unpersuasive. It seems like belief. No, I was proposing a premise. It’s intended to be persuasive to those with some understanding of how changing feedback loops in hyper-complex non-linear systems can produce sudden, unexpected, exponential movements in new directions. Movements with high exponential growth rates. Anybody who can’t see such exponential growth rates when they’re right in front of their eyes, e.g. the exponential growth of solar installed base and exponential decrease in price (at, say, the factory gate), is probably not going to see the potential for sudden eco-system changes. Anybody who can will hopefully see the implications of the study linked above. If there are no negative impacts, then what’s the risk. This shows a lack of appreciation of risk totally unacceptable (IMO) in somebody claiming to give policy advice. The fact that you are unpersuaded that a downside does exist doesn’t mean that it doesn’t. There’s no logic here, just dishonest rhetoric in the service of advocacy. Basically, it’s nothing but “preaching to the choir”, because anybody not already locked into your worldview will see the fallacies in your argument. The risk of negative impacts of bad mitigation policies – like incentivising renewable energy and carbon pricing, are virtual certainties. An obvious straw man. Also not true. The risks from any carbon pricing sufficient to incentivize “renewables” is obvious and high, but not a certainty except in the same sense that the risks I mentioned are a certainty: we don’t know that a downside doesn’t exist, so the risk does. The straw man aspect comes from your equation of any action to incentivize action to deal with fossil carbon with policies having a large economic risk. Policy options certainly don’t lie along a single dimension. Given that there’s a risk from continuing to dump fossil carbon into the atmosphere, and that the most loudly advocated policy options do carry the risks you’ve alluded to, the best course of action would seem to me to be searching for policies that accomplish the desired end without producing the undesirable effects. Your advocacy of a relaxed regulatory regime for nuclear fission would seem to me to fit this definition perfectly. And, I’ll mention that you seem to me to be talking out of both sides of your mouth when you denigrate any mention of “risk” from fossil CO2 while also frequently advocating changes to nuclear policies to deal with it: if there’s no risk, there’s no reason to change policies WRT nuclear. Back to your straw-man argument, here specifically WRT carbon pricing. Let me start by mentioning that I’m against any form of specific carbon pricing, the following argument is grounded in economic analyses that I’m highly skeptical of but have been widely referenced (AFAIK). AFAIK most of the “economic analyses” intended to demonstrate that “carbon pricing” won’t have a significant negative effect on the economy assume a relatively small pricing “adjustment”: perhaps the equivalent of $20.00/ton of fossil carbon released to the environment. OTOH, again AFAIK, in order to make “renewables” cost-competitive at their current technological maturity, something an order of magnitude larger would be required. So the “carbon pricing” that would have little effect (so the “analyses” say) isn’t the same thing as the “carbon pricing” that would serve to effectively incentivize “renewables”. Equating them creates a straw man. Which is, AFAIK, what you’re doing. Of course, you could resort to “mommy mommy”ism: that’s also exactly what the proponents are doing. Along with offering governments the obvious bait: more money. A similar argument, but less focused, could be made WRT “incentivising renewable energy”. There are many ways to go about nurturing the growth and maturity of energy not dependent on fossil carbon, or at least not dependent on dumping a fossil-sourced excess into the environment. There’s absolutely no reason to assume that the effect of any specific policy in nurturing the growth of “renewables” would be linearly related to its impact on economic growth. So the obvious answer is to look for policies that will foster “renewable” technology while also supporting economic growth. So, unless you can provide persuasive evidence – not just statements of your beliefs – and over policies that will increase economic growth, then I am entirely unpersuaded by your belief there is a risk we should spend money on. Sorry, I didn’t bother reading your rant. I got to the first “straw-man argument”, and recognised the nonsense wasn’t worth reading. I searched and found multiple uses of “strawman arguments” and can gather the essence of it. I think you are trying to deny the obvious fact that renewables are not sustainable, can’t make much of a contribution to global energy supply, therefore cannot replace much fossil fuels, therefore cannot make much contribution to reducing global GHG emissions. Importantly they are hopelessly uneconomic and probably will remain so. They are not a solution. On the other hand, nuclear has demonstrated it can meet requirements and supply a large proportion of the electricity in modern industrial economies. It is sustainable with fuel for millenia. It is clearly the major part of the solution to sustainable energy and to cuttting global GHG emissions over the course of this century. You’d have to be blind or an ideologue to not be able to accept the relevant facts. There’s none so blind as those who will not see. You demand to be persuaded, but then close your eyes, stick your fingers in your ears, and yell “la! la! la! I can’t hear you!” when somebody tries to respond to your demand. Exactly. Repeat that to your self over and over and think about how it applies to your blindness. Your blind, irrational beliefs in the renewable energy wish have repeatedly been shown to be simply highly optimistic wishful thinking. You cannot make a case to show it can supply a large proportion of global energy and therefore you cannot make a case that it can provide a significant contribution to cutting global GHG emissions. Your hopes and projections based on continued logarithmic growth rates are ridiculous. Do you mean the sort of boom-and-bust at all scales that natural phenomena like populations of rabbits+foxes or the temperature history of the Earth have? There always tends to be a maximum, which economists should perhaps consider looking at. I think the Earth max ave-temp is ~ 26 degrees – quite high. Do you mean the sort of boom-and-bust at all scales that natural phenomena like populations of rabbits+foxes or the temperature history of the Earth have? Not exactly, I’m talking about something that heads off in a different direction. For instance, a substantial increase in the number and extent of toxic algae blooms, which doesn’t necessarily return to the current situation when/if the pCO2 does. The beliefs and ravings of a loony catastrophist preacher – we’ll all be doomed. The flaw with your meme of irreversible ecological changes due to CO2 is that single organisms matter. The cyanobacteria above occupies a specific ecological niche – even if high CO2 levels lead to permanent nitrogen fixing behavior change, then all that happens is said cyanobacteria will fail in its niche and be replaced by another. There’s a reason why humans dominate the earth rather than dinosaurs, or plants, or bacteria, or what not. The cyanobacteria above occupies a specific ecological niche – even if high CO2 levels lead to permanent nitrogen fixing behavior change, then all that happens is said cyanobacteria will fail in its niche and be replaced by another. Actually, “niche”, in the ecological sense, is another myth. Eco-system changes usually involve changes to niches and their inter-relationships, to the extent that the term can even describe what’s going on. The point is, that the “permanent” change isn’t consistent with the most simplistic models of how ecosystem participants respond to an external change, which in turn demonstrates that there’s a lot more going on, and much greater potential for unexpected developments, than such simplistic models would suggest. All of evolution is irreversible. That’s why the Holdrens, Hansens, Manns, Schmidts of this world seize the opportunity to simplify things in a manner consistent with their world views so that the lazy decision makers don’t have to think too hard. “simplify things in a manner consistent with their world views” That is it Mark Silbert, you nailed it. It is far too simplistic and easy to call decisionmakers lazy. It is far more likely that decisionmakers see personal benefit. The same holds true for some researchers: if catastrophic climate change means easier/larger grants, there will always be those who choose that over any quixotic attempt at scientific objectivity (in their view), either subconsciously or consciously. From a scientific point of view – it really doesn’t matter if the person knows they are skewing their results or not. The effect is the same. IMO this is why Professor Curry’s complaint about the paucity of diversity in climate change research is so telling. “It is far too simplistic and easy to call decisionmakers lazy. You are right. It’s much more than laziness. I was a bit lazy/tired in the late evening when I wrote my comment. Would like to share this paper on uncertainty with you. When observations are used to constrain uncertainty ranges, the result depends not only on which observations (and what temporal and spatial scales) are used to construct the metric, but also on the relationships between that information and the forecasted variables. it overlooks that tuning the model from observations — determining model parameters so as to make the model match observations, e.g. “effective viscosity” or whatever, a model parameter but not a physical one — amounts to curve fitting. It gives a better fit but increases uncertainty, just as if you went to a polynomial fit with higher and higher degrees to get a better fit. The higher degree polynomial goes off to infinity faster once it starts predicting. But fits better. You can even optimize this technique with Kalman filtering. There’s no need to guess how much to increase effective viscosity. Kalman can tell you exactly how to change all the model parameters as each new piece of observation comes in. But it’s nonsense because it’s not physics. You have to get the physics right, and you can’t. It’s too complicated. There’s not even a procedure to get the physics right. All there is is bureaucracy and funding. Instead of “managing” uncertainty we need to accept uncertainty and honestly admit how uncertainty limits our ability to forecast the future climate. Managing uncertainty is an oxymoron. Not entirely; it could be done if the uncertainty were “small enough” to allow reasonable engineering trade studies to be performed. That isn’t possible with climate science at present, so, we have advocates (e.g. AK) talking non-linear chaos means CO2 levels could cause abrupt climate change with no evidence, effectively making the range of costs for climate uncertainty infinite. When it comes to engineering, climate scientists are on the level of snake oil salesmen. Yet another purveyor of straw men. It is at least mildly encouraging that main stream climate science seems more aware of the very large uncertainty in projections of warming. Otto, of course, was already aware that empirical estimates of sensitivity are significantly lower than sensitivity estimates from the CMIP ensemble, so there is no surprise Otto is among the authors of one of these papers. The climb-down process has started in ernest. I expect an acceleration in that climb-down once the Paris summit is over. The evidence is clear and increasing, and will soon be difficult to refute: climate sensitivity is almost certainly near the low end of the canonical IPCC range of 1.5C to 4.5C per doubling. Public policy will ultimately reflect that reality….. but I expect no time soon. Well said. Politicians are not motivated by the “climbing down” resulting from better understanding of the science. They have used the rhetorical spin etc. to further political careers and sphere of influence. Meanwhile, the consensus will continue searching for ways to block any “climbing down,” e.g., by looking for ways to refute the hiatus, claiming that it never occurred, or that it is not a significant factor in the long scheme of things. The major challenge of the day is to close the gap between public opinion / policy and the science. If a global climate treaty is agreed by e.g., “executive authority” at the Paris meeting it would make it very difficult to change the course of history. How can it be done? 5. damage function (i.e. net economic cost per degree of warning or cooling. To me it is extremely concerning that we’ve spent 25 years on climate research (and some $1.5 billion per year on policies justified on the basis of CAGW) to get to the point where it seems we know next to nothing that is really relevant for policy analysis. Despite me asking the above questions repeatedly, no one has made a serious attempt to answer them. The longer this gores on without any persuasive evidence that GHG emissions have negative economic impacts they more I become persuaded GHG emissions are not a significant threat. Richard Tol’s paper “The economic impact of climate change in the 20th and 21st centuries” seems persuasive to me http://link.springer.com/article/10.1007%2Fs10584-012-0613-3 . Figure 3 shows that GHG emissions and projected global warming would be net beneficial for most of this century. In fact, with cheap energy as we could have with nuclear power if the “Progressives” would stop blocking progress, global warming would be net beneficial for all this century and far beyond. Warming is “net beneficial” but you want to know the direction of the temp change after the next abrupt – poking ACO2 sticks at angry beasts and all – climate change, which I guess will also be net beneficial. The fact that imagined risks have literary descriptions and not actual examples, physical principles or equations leads to some discounting. An abrupt change like the Younger Dryas is the most often discussed risk. It happened. The Water Chef went on and on about abrupt change and the sick poking. Yes, plenty of evidence of the YD, but not as much understanding of what happened and a huge reach to make CO2 relevant. Present day Arctic air masses are very shallow and blocked by mountain ranges. During the last glacial, they would also have been blocked by the Rocky Mountains and the NH Ice ( ~3km thick ). This would have provided shelter from Arctic outbreaks to the Atlantic basin. When the glacial ice clear a path in the lee of the Rockies, Arctic air masses could again flood into the Atlantic basin commensurate with the YD cooling. Orbital forcing slowly persisted up which ended both the YD and subsequently the LGM. Is that right? No direct observations, but it makes sense and points out the speculation about modern times. These types of events like YD and “MWP”s (meltwater pulses of the type Hansen recently mentioned) occur exclusively in periods of background warming, leading to faster sea-level rises and local cooling. This is one type of tipping point that we are pushing at when we have faster-than-ever warming, and unlike earthquakes, this is a risk we can reduce with better policies. I don’t think there is much realization about this risk among the skeptics who say they fear cold weather more. ACO2 is causing the warming… it’s the control knob. And it’s only going to get worse for you guys. August is around .86C, maybe more. TE, Do you think there is any point at which warming or rate of warming has negative consequences? If so, what would that be? This is one type of tipping point that we are pushing at when we have faster-than-ever warming, and unlike earthquakes, this is a risk we can reduce with better policies. What are the parameters of a specific response policy and by how much will it reduce this risk? opluso, now you are asking the right questions. How do the probabilities change from 400 to 800 ppm, for example? You need to ask this. It is important because policies chosen can impact climate by this much. Unfortunately, I am not finding the right answers. The consensus on climate science would appear to show that no policy can prevent already-in-the-pipeline CAGW. Well, no policy short of the sort of global tyranny some skeptics delight in claiming is already upon us. So I would ask, quite seriously: If there is no policy that can actually prevent, or even significantly mitigate, catastrophic warming — why do so many climate experts argue that we should be “doing something” today? I think there are policies that can prevent 800 ppm from ever being reached and possibly even 500 ppm. That’s what this is all about at the moment. How much can we do, not whether we should do anything at all. And fortunately, technology is accelerating and human population is decelerating such that CO2 forcing is also likely to decelerate. In the Northern Hemisphere, temperatures warm by about 14C from winter to summer. That rate is 2800C per century. It’s reversed every year, of course, but that’s the rate. So rate of long term global warming ( less than 1.7C per century ) is not really significant. And why is that bad? Go to gapminder, look at any of the measures of human well being ( GDP, GDP per person, longevity, literacy, infant mortality, etc. etc. ) and see if you find any correlation with warming that doesn’t indicate benefit, not detriment. According to the climate consensus, millions will die long before we reach 800 ppm. In fact, millions of deaths will be guaranteed at a “mere” doubling of pre-industrial CO2. Coastal cities around the globe will be inundated by rising sea level while both droughts and floods ravage agricultural regions, diseases spread, etc., etc. Yet the policy proposals I have seen would do approximately nothing to prevent these fearsome events. And no one seems able to provide a calculation for the amount of climate change mitigated per unit of policy implemented. So is it any wonder that politicians prefer to address more immediately pressing and concrete problems? The Rocky Mountains lee brings us back to wavy and rigid Northern jet streams. Wavy mixes and cools in my opinion and rigid warms by inhibiting Equator to Polar air mixing. The opening of the lee would have allowed mixing of materially different temperature air masses. In Minnesota in Winter these lee traveling air masses from around Alberta can give us our coldest temperatures. Traveling straight West of Minnesota, precipitation drops suggesting the water blocking attributes of the Rockies. opluso, your logic suggests that you would support policies that prevent the catastrophes you seem to have read about, and there happen to be stated policies that, if successful, can keep us below 500 ppm, so you should be supporting the idea of an international attempt at least, no? but I suspect that no one really knows what at what GAM temperatures effects might switch from net beneficial to net detrimental. So assuming we continue BAU, you find this lack of certainty, comforting? You keep saying that, but where is the research that establishes it? Technology usually improves when there is a demand for something. And if we don’t have incentives to lower our CO2 emissions, why would the technology improve? I am unaware of any “stated policies” that could realistically be adopted that would actually accomplish the goal of stopping CO2 increases. All of the international proposals to reduce GHG emissions I have seen are scientifically insufficient and politically unenforceable. Offered targets of near 30% by 2030 and 80% by 2050 get the curve to bend down in a way that does keep levels below 500 ppm, if sufficiently closely followed as a global mean. Yes, because BAU means continued slowing and eventual decline in population, perhaps as early as 2030, which from an ecological perspective, is more desirable than just changing energy sources because it reduces ALL footprints, not just CO2. And the peak warming rate through 2014 was about 1.7C per century. But RF peaked some decades ago, so we wouldn’t expect 1.7C for the future unless forcing also accelerated. Since population is decelerating now ( as opposed to accelerating last century ) future rates of warming should be ( plus or minus natural variation ) less than past rates of warming. decline in population, perhaps as early as 2030, which from an ecological perspective, is more desirable than just changing energy sources because it reduces ALL footprints, not just CO2. Global population is still predicted to grow to 10 billion by 2050. So that will lead to more demand for energy . I haven’t checked your growth rate figures. so I can’t comment on that. And more importantly demand will increase, because we have billions of people in poverty and near poverty that we hope to move to lifestyles similar to those in the industrialized nations. I don’t know where you are getting this decrease in demand from. Global population is still predicted to grow to 10 billion by 2050. Obviously, declining population reduces not just ‘global warming’, but a whole host of other issues, so population decline is, from an ecological perspective, superior to having increasing population, only with a different energy source. From an economic perspective, the opposite is true – increasing population fosters economic growth, so there is a tension between the two. Ultimately, many governments are trying in vain to increase fertility, like Russians and Spaniards paying couples to have children and China lifting the 1-child policy, but these measures don’t seem to work. 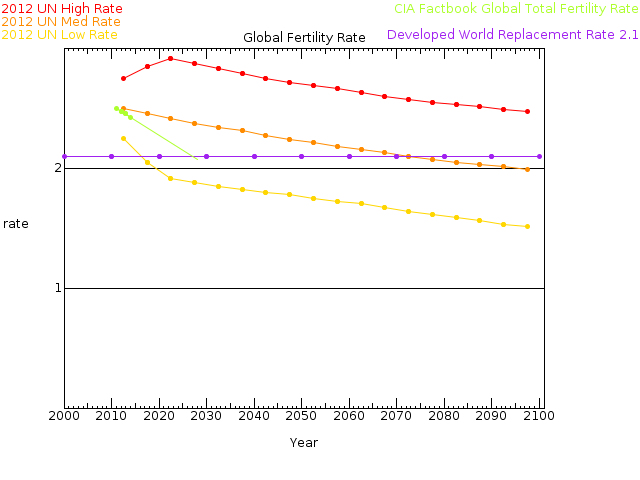 So declining population may be a reality regardless of economics or environment. The pause has made fools out of a lot of very intelligent people. Natural variation has been working against warming since around 1985. Your 1.7C is ACO2 overcoming major opposition. Now the tables have turned. Natural variation is accentuating warming. The last 60 months is warming at more than twice the IPCC rate. It’s the PDO. It has not worked to boost warming since it last ramped up 1975 – 1983. We’re in the 1920 to 1940 mode. The assumption in science is that the AMO and PDO were assisting warming from 1975 forward. Wrong. “Richard Tol’s paper “The economic impact of climate change in the 20th and 21st centuries” seems persuasive to me ” – Peter. Though the Tol analysis of impacts on human health is hopelessly wrong. Take a look at Figure 3. The only component that turns significantly negative is energy costs. Projected energy costs drag the average net benefit-cost down. However, that is based on a belief that we will transition to renewables, which most rational people know by now, are incapable of meeting requirements, are prohibitively expensive and probably will remain so. However, we can always turn to cheap nuclear power and inevitably will do so as soon as the ‘Progressives” get out of the way and stop blocking progress. You don’t say why you believe “Tol analysis of impacts on human health is hopelessly wrong.”. I assume the reason for your belief is that your cult leaders tell you to. However, since Richard Tol has been one of the world leaders in estimating damage effects and defining the damage function for over two decades, I’d trust him ahead of your beliefs. Human mortality in the extra-tropics exhibits a strong peak during the cold season and a strong trough during the warm season. There are identified hormonal changes which would appear to make this so. Perhaps it is because so much of human evolution took place in the tropics of Africa, we are better suited to warmer climates. Tol took some very limited data on death rates plotted against temp, misunderstood them, extrapolated to the entire world….and got some positive health effects from rising temps. When it would get warm in the cold of winter, calves would die in droves. My Dad got rich treating those calves. In January-April he viewed a forecast for warm weather as money in the bank. If Canada warms in the winter, they will experience elevated cold-season deaths. My wife if a perfect candidate to die a cold-season death in Texas. There is little chance of that happening to her sisters in Dakotas. When it would get warm in the cold of winter, calves would die in droves. Cattle, with a few unfortunate exceptions, are not people. 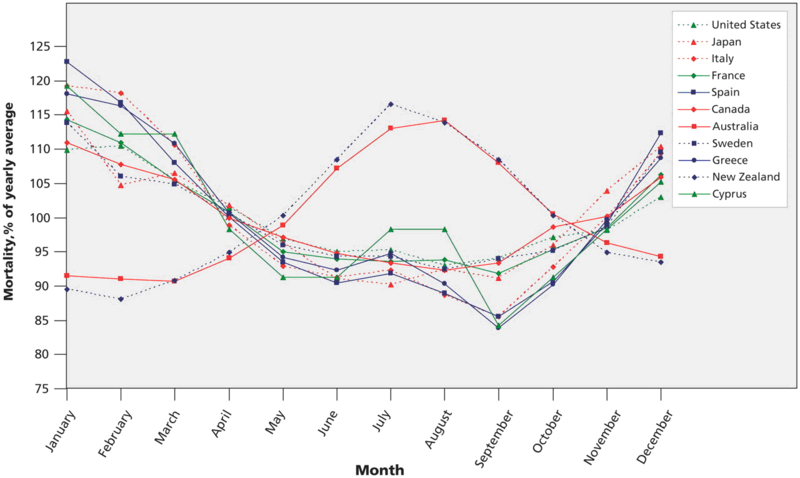 However, I suspect there’s higher cold season mortality ( from aggregate all causes ) in most other mammals, also. so it’s not just infectious disease. Would seem as if that’s what leads to the near universal extratropical winter peak in mortality. I would think that other mammals have similar responses. Other factors change with the seasons ( daylight, UV, solar intensity, length of day ), of course. A controlled study with temperature regulation would be interesting. How would that change in a warming world? 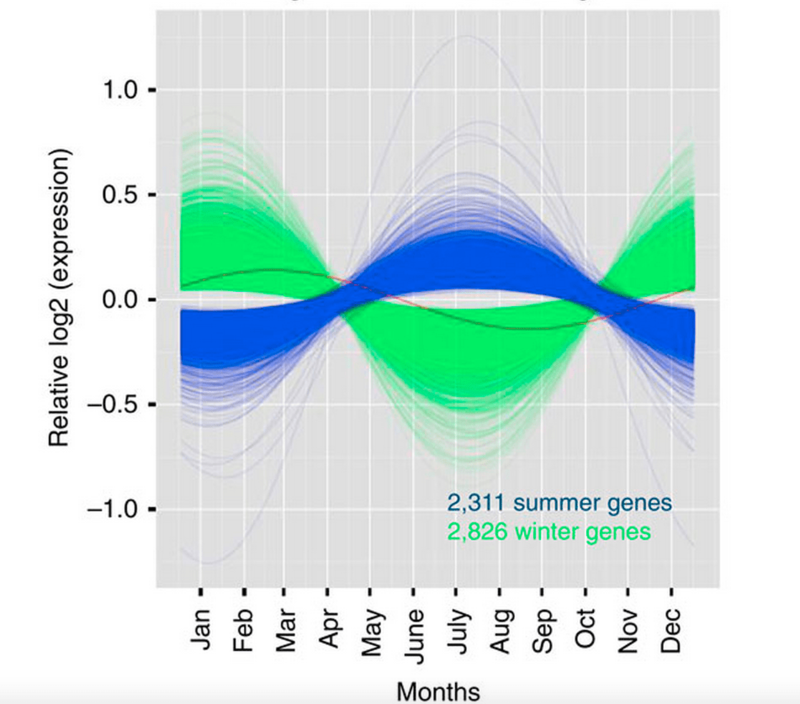 Are you suggesting that the genes won’t turn on with milder winters. Won’t increased heat waves during the summer still kill more people? How would that change in a warming world? Are you suggesting that the genes won’t turn on with milder winters. Dunno. I just read the papers is all. Won’t increased heat waves during the summer still kill more people? Will there be more heatwaves? These are US only, of course, but there’s some reason to believe heatwaves would become less frequent. That’s because reduced gradients would mean imbalances are more readily smoothed out and increased latent heat means a reduced amount of sensible heat is necessary to smooth out imbalances. LMAO. So what will be average lifespan in a warmer USA? 105? Human beings are not tropical animals. Summer peaks in death rates are the historic norm. Malaria. The researchers found that on days with the greatest number of deaths, most of these were attributed to cardiovascular or respiratory causes. But oddly, the days with a mortality spike were warmer, not colder, than the preceding five days, had more precipitation (either rain, snow or sleet) and had lower atmospheric pressure than winter days with fewer deaths. Human beings are not tropical animals. Yes, most human evolution took place in Africa. Summer peaks in death rates are the historic norm. Malaria was epidemic in the United States, back in 1880. Ancient Rome experienced elevated death rates in the summertime. Ditto for Egypt. People did not live long enough to die of TIAs. As long as we have access to A/Cs and heaters, whether a particular human is adapted for warm or cold doesn’t seem to matter. Malaria is not a tropical disease, you can get it in Siberia and Alaska too, and it was a problem before anthropogenic global warming initiated. The numbers have gone down because we actively control the mosquitos in populated areas. Same reference Turbulent Eddy is using. The issue to be addressed is whether the correlation with mortality is with temperature or with number of hours of sunlight. At the least, that’s a confounding factor. Yes, I saw the EPA estimate that on average Americans spend 93% of their time either indoors or in their cars – only 7% outdoors. Yes. And in addition to confounding factors, the causation might be indirect – some factor effects virus population ( adverse or benign ) which then stimulate human immune response. Further, from a more philosophical point of view, mortality is a necessary component of a sustainable population. And also, if specimens don’t die, species don’t evolve. Never-the-less, it’s an interesting guide post above the exaggerated claims of harm or mortality from global warming. TE, I don’t think that tells us much about heat waves which are prolonged excessively hot weather, If the temperature is higher on average globally then it can affect the intensity of the heat wave. Thank you for the information on mortality rates. It is very interesting. Warmer countries have less GDP per capita and shorter lifespans. Less health and wealth. Correlation isn’t causation of course, and the reasons are not clear, but I think some will say just “let them have a/c” as the solution, paraphrasing Marie Antoinette. The Roman empire lasted for some 2000 years and its climate changed a number of times. Which period are you referencing and is that the Eastern or Western Empire? I grew up in the 5th coldest city in America. I know farmers who are in their 80s and 90s and are still farming and raising stock. They go outside every single day of the year. Those states enjoy very long lifespans. Generally the only people who die of extreme cold are drunks. They pass out in snowbanks on a night when it drops to -20 below zero and in the morning they’re frozen solid. When it is extremely cold people tend to close the windows and keep the heat on at night. In places like Texas people open their windows on winter nights and sleep at ambient temp. My wife is one of them. She has a family history of stroke death, and she could well check out on some night when the winter temp has either gone up and gone down because that is when it often happens. Data from a new study have thrown a wrench into the hypothesis that colder climates precipitate a spike in cardiac death rates when the weather turns frosty. In an analysis of the seasonal variation of total and cardiac deaths across different climates, the seasonal mortality curves in Arizona and Texas were nearly identical to those observed in cold-weather states Pennsylvania and Massachusetts. Malaria mostly faded away because of the expansion of the middle class. Smaller households with personal bedrooms and screened windows. The real reasons are not politically correct and thus may not be written or spoken out loud. The politically correct reason is the inhabitants far from the Equator exploit and oppress inhabitants closer to the Equator. TE think his Canadian graph proves I’m wrong. Lol, he’s wrong. 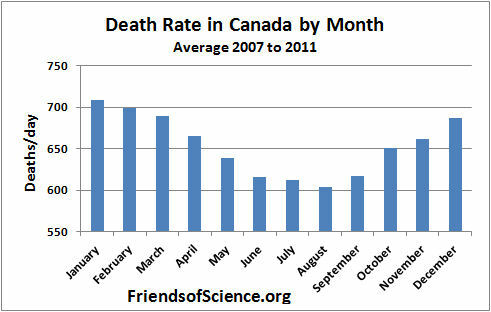 If you warm Canada, the seasonal death rate will get worse. How bad will it get? If you turn into Mexico, the Canadian lifespan will drop into the 70s. It’s currently 82; it’s higher than the USA, which has states closer to the equator and warming drags down lifespans. There is an interesting sidelight today on how economics handles uncertainty in complex models. The NZ Treasury is required to produce long-term fiscal projections which they do from reasonably complex models. Following the recent publication of these the NZ Controller and Auditor General in reviewing them argued that the uncertainty implicit in the projections may not be readily understood by readers. As a result the Treasury has published a Working Paper (not necessarily Treasury policy) that explicitly looks at sources of the uncertainty http://www.treasury.govt.nz/publications/research-policy/wp/2015/15-10. The Executive Summary is sufficient to give the flavour. Two quotes highlight the differences between economic/fiscal policy and climate policy. Peter, I think its West Island and it doesn’t change the validity of your point! I read several climate books specialising on this topic, and not one even understood the basic concept of natural variation. The daftest thing I saw was that they viewed variation as something you put into a model at the start … a bit like shuffling cards when you first get them and never again shuffling them … so obviously as the number of hands dealt at cards increases, the randomness of the cards decrease and it finally there is no randomness at all and the only changes are those that are artefacts of the game being played. … but some how I think that analogy will fly over the heads of most who call themselves “climate scientists”. Making uncertainty calculable is a bit like adding blue or yellow dye to red to make a colour less fugitive. You get a colour less fugitive…but the red component which was fugitive is still just as fugitive. You just covered it up. Bookmakers can give odds because there are only a few horses on course, about which quite a lot is known. Multiply that complexity a few million times and everyone is better off staying away from the track. Really think you can extrapolate from a few scant years of more precise measurement of climate to know what’s three months out – let alone dish that “by the end of this century” tripe? With radar and sat some things are more observable. Add experience, empiricism, a nose for weather and distaste for the literal/mechanistic and you might have a capable forecaster whose punts might be worth hearing. Really, we’ve copped years of BoM and Met long term forecasts and we don’t want to see them dressed up in more numbers and percentages to look even sharper to inspire even more confidence. For uncertainty, just say prolly, mebbe or dunno, and give reasons in conversational English. All this faux precision and percentiness is just digging a deeper hole for a science’s sinking cred. Please stop it. Why should the public accept the “settled science” of CO2’s greenhouse gas effect in the real world? Test tube and lab experiments may have shown a certain relationship between CO2 levels and air temperature, but where is the evidence that it can be translated to the real world. The warmists say it is simple physics. But aren’t their many physical influences in the real world that could drastically alter CO2’s impact? How well are those influences understood? Actual observations seem to bely the “97% consensus” of CO2’s “greenhouse effect.” The models have failed to predict how temperatures have responded in reality to increases in CO2 in the atmosphere. Everyone seems to agree that CO2 is a “greenhouse gas.” But unless its actual impact in the atmosphere can be verified how can informed decisions be made about what, if any, actions to take to respond to any impact?. It seems to me, and I could be wrong, that a tiny trace gas in the atmosphere could not have the significant effect that warmists claim it does. The sun could blow up. The Son, will show up…wonderful. And there seems little doubt in the same minds that a “tiny trace gas” could make a significant impact on plant growth. You agree with Psalm 2, then? That is because it has been established empirically. The kind of simpleton mindset that believes Keynesian strategies solve all problems economic is also the one that believes test tube experiments are automatically translated to the real world. Any other possibility is too confounding to contemplate. So unnerving that it creates crying jags. I thought I noticed that similarity. Either fiscal or monetary policy can be boiled down to one control variable. We then appoint the smartest economist to set the value. We now have control except for when for when we don’t, when other forces overwhelm what government is attempting to control. The great forces of commerce that refuse to follow the dictates of a chosen economic course. Financial panics see some arguing to open the spigot of government borrowing and others saying, let nature take its course, I was prepared for this downturn. Financial panics have some politicians saying, look at what we saved from ruin while not mentioning the costs of doing so. Save GM, save the polar bear. At what cost? It seems some climate scientists are Johnny come lately Economists. The economists wrote the ‘how to’ book. Much of how the world really operates is counter-intuitive. It’s your intuition that’s defective. Not the world. His intuition is dead on. Yours is not. If only those people whose intuition is wrong would get out of the way, and let those whose intuition is correct* take care of matters. * coincidentally, those who agree with me. Dave, let’s reel this one in. But consider that the degrees of freedom of molecules has a great deal to do with how the absorb ( and emit ) infrared radiation. Mono-atomic and Di-atomic molecules ( N2, O2, Ar, Ne, He ) absorb and emit close to zero in the infrared. Tri-atomic and higher order molecules ( H2O, CO2, O3, CH4, CFCs, etc ) absorb and emit strongly in the infrared. So, while CO2 is a trace gas by total gasses in the atmosphere, it is the number two ( behind the variable amount of water vapor, H2O ) gas once you toss out the mono- and di- atomic molecules. So, for these reasons, CO2 is a significant ‘greenhouse gas’. Now, the effects ( on both warming and imagined second order ) are exaggerated and extrapolated by a shameless political agenda, but the effect of increasing CO2 in the atmosphere should tend to increase the temperature of the atmosphere. 1. Experiments show that increasing c02 can in some cases lead to increased plant growth. But where is that evidence that can be translated to the real world? 2. It seems to me that a tiny trace gas can have no effect on plant growth. See how that argument is no very bright. we are already doing both of these experiments. there are other variables (water, nutrients ect ) that we dont control. there are other variables (land use, clouds, aerosols, other GHG, natural cycles) that we dont control. Steven Mosher: Experiments show that increasing c02 can in some cases lead to increased plant growth. But where is that evidence that can be translated to the real world? Most greenhouses in The Netherlands use an increased CO2 concentration to increase crop yield. Companies like Air Liquide specialize in installing systems to achieve this. This would not be done all over Holland at a big scale if it was not successfull (my countrymen are way to stingy for that ;-). Your challenge: for the rest of the week eat only things which don’t grow from CO2 in the air ( or ocean ). The point is that warmunistas claim that co2 is THE control knob – nothing else matters in this massively complex, chaotic, non-linear, coupled system we call climate – which by the way is made up of 5 separate subsystems- one of which is the biosphere. Claiming that ANY single variable in such system is THE control knob is, in a word, idiotic and requires a blind ideology to believe. Increased levels of co2 have been proven beyond any doubt to cause greening because it has been emperically proven that green things grow faster, larger, produce more of what we need and want while requiring less water in co2 enriched environments. It has NOT been emperically proven that elevated levels of co2 have ANY negative impacts. daveandrews723: It seems to me, and I could be wrong, that a tiny trace gas in the atmosphere could not have the significant effect that warmists claim it does. It’s a small fraction of a large volume. If you double the concentration, you double the total, and calculations show that if you double the total you might increase the global mean temperature. That’s one way to consider it. As turbulenteddie has written, atmospheric CO2 is a substantial fraction of the total IR absorptive capacity of the atmosphere. It’s a shame that the “trace” gas argument is so hard to kill off. Imagine if you will doubling the water content of the gasoline in your car, or the wax content of the diesel fuel. In warm temperatures you might not experience any effect at all, but if you drive into cold weather your engine might stop as the stuff precipitates out in the fuel line. It’s only one example, but examples of the large consequences of doubling the amount of a “trace” constituent can be found everywhere you look. Right. It’s important because it’s a trace gas. It’s the potential to double that makes it plausible for non-negligible temperature change. On the flip side, it’s likely only a trace gas because our ecology is so responsive to higher concentrations. As for uncertainty coming from not knowing the physics in operation, I suggest a maxim. There are an infinite number of imaginary disasters. This can only be handled by setting the false alarm rate to zero. Get back to us when you have an adult peer review system. We only need forecasting when things are uncertain. Such as the 1994 IPCC Business as usual graph. We only have business as usual. The gap between prediction [singular] and observation is massive. An elephant in the room, but no one mentions it. Mosomoso, your last paragraph is just superb! Once again we have experts guessing about what makes people tick. Once again they have it wrong. Lopez at al have made some assumptions that are easy to miss. One assumption, which jumps around a little, is a description of what a non-expert in climate change might think. Such an analysis leaves out a critical portion of the adjudicating public, that being the “expert” from a related field. As an example, Steve McIntyre has done an enormous amount of “neutral” work on the standards of sampling and statistics used by a number of climate change authors. Commonly, Steve will find a method lacking before he offers guidelines on how to do a better job. Steve is not alone. Several neutral to pro-sceptical blogs are authored by people like Steve and between them they have been tremendously influential in carrying a message that all is not right. This message soon becomes contrasted with the establishment claims that the science is settled, when clearly it is not. I have no hard evidence to assert next that the Man on the Clapham Bus is wired to be on the side opposite to the establishment and welcomes material that supports his naïve inclination. Maybe he has been exposed to modern art exhibitions where he prefers to class work as pure junk despite the expert critic waxing lyrical. Ditto with wines described in flowery terms by expert vignerons. Ditto for modern poetry. Ditto again for many endeavours where an expert pops us to tell us how to think, how to appreciate. One little slip and they are gone. Climate science has had that one little slip in the form of Climategate. After that, most offerings are not accepted as correct the first time round. They might be accepted in time, once there has been discussion and credible outcomes by several people expressing pertinent views. In my own case, it was a post grad career in exploration geochemistry then mining then forestry then large manufacturing – all held to standards as a scientist might tend to do – which later provided a good deal of overlap with climate science. My first exposure was in 1992 when geologist Warwick Hughes showed me data that Phil Jones was working on, data that were so poor compared to my involvement in numbers and statistics from the earth sciences that I was suspicious of climate science from the beginning. Again subjectively, I assert that people who have worked with numbers for many man years sometimes gain a “feel” for good data and bad data. In several sectors of science the treatment of estimated errors quickly tells a lot about the standard of the overall work. There are many, many papers from climate science that would never have passed muster, from error treatment alone, if compared to the way we did it. There might be some perceived value in climate science for arriving at an outcome that was rigged, or when a certain outcome was each time given the benefit of the doubt in one helpful direction. There is no value in rigging results when looking for an ore deposit. In fact, it is counter productive to go drilling where there is no deposit when the stats are done properly. In summary, the place of the expert from an overlapping field is usually under rated by people commentating on the establishment versus sceptical balance. Here, I suggest that such people are the ones that should be studied by sociologists and their comrades. They punch well above their weight in influencing the wider public. This is almost precisely where I came from though all of my statistics and “numbers” were rooted in genetic epidemiology. I vividly recall asking about error bars which I thought were accidentally missing and instead of getting an answer I called a paid fiend of big oil. This is science? How many times was I admonished and did I admonish others, computers can be adjusted to say anything you want but everything the computer is doing has to be based on assumptions that you understand and that are grounded in established facts. Computers just make it easier to calculate much bigger mistaken assumptions that are harder to unravel. Then along comes these people who won’t talk to me and only insult me and claim I should just shut up because the science is settled! 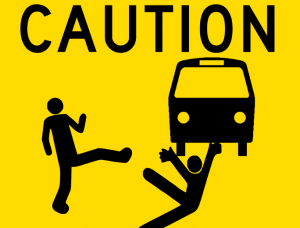 I was always taught that if you are not an expert in a field you don’t go splashing around in it without getting an expert in as a collaborator to make sure you don’t make a stupid mistake. Yet how many high level statisticians did the climate science of settled have? None. The result, garbage into computers, garbage out of computers. I didn’t understand why such a thing could happen but I just finished Mark Steyn’s superb book “Disgrace to the Profession” which should become a mandatory textbook for all first year scientists on how not to be scientists of conscience pursuing the truth. Going back to the start of your comment, one of the things that made me somewhat sceptical of climate science was that the communication strategy used was basically a ‘hard sell’. Good science does not need to be sold, it stands up to scrutiny on its merits, only weak or uncertain findings need additional promotion. Perhaps it’s just my personality or science training, but I’d rather think for myself than be told what to think by those whose ‘expertise’ is in communication strategies. Your comparison with modern art critics is well made. To paraphrase – computerised calculations just allow you to get the wrong answer more quickly. Within the climate debate there is a fundamental Kuhnian confusion with the concept of uncertainty. Warmers use the term to mean how bad will CAGW be?, as in the articles cited in this post. Skeptics use the term to mean is there a problem?, probably not. Thus the two opposing paradigm holders talk past one another, just as Kuhn described so well (and I did my Ph.D. thesis on). As always, the specification of a scientific question depends on what one believes. Where there are two schools of thought there are two different questions, each stated using the same words. It looks like the Big Picture is coming into focus. Interesting article, but I do not see how it is related to my comment. This has been updated ,hence one more time. I welcome criticism , not that I will change my mind but still would be of interest. I have put forth my whole climatic theory here as to why and how the climate changes both in the long term and in the shorter abrupt term. I had put this on the WUWT web-site which found it interesting as one can see by the moderator comment. This is what I have come up with based on all my efforts in this area. I agree that the data does give rise to the questions/thoughts Don Easterbrook, presents in the above. That data in turn leads me to believe along with the questions I pose at the end of this article, that a climatic variable force which changes often which is superimposed upon the climate trend has to be at play in the changing climatic scheme of things. The most likely candidate for that climatic variable force that comes to mind is solar variability (because I can think of no other force that can change or reverse in a different trend often enough, and quick enough to account for the historical climatic record, and can perhaps result in primary and secondary climatic effects due to this solar variability, which I feel are a significant player in glacial/inter-glacial cycles, counter climatic trends when taken into consideration with these factors which are , land/ocean arrangements , mean land elevation ,mean magnetic field strength of the earth(magnetic excursions), the mean state of the climate (average global temperature gradient equator to pole), the initial state of the earth’s climate(how close to interglacial-glacial threshold condition it is/ average global temperature) the state of random terrestrial(violent volcanic eruption, or a random atmospheric circulation/oceanic pattern that feeds upon itself possibly) /extra terrestrial events (super-nova in vicinity of earth or a random impact) along with Milankovitch Cycles, and maybe a roll for Lunar Effects. The climatic back ground factors (those factors being previously mentioned) driving the climate gradually toward or away from the climate intersection or threshold of glacial versus interglacial. However when the climate is at the intersection the climate gets wild and abrupt, while once away from that intersection the climate is more stable. Although random terrestrial events and extra terrestrial events could be involved some times to account for some of the dramatic swings in the climatic history of the earth( perhaps to the tune of 10% ) at any time , while solar variability and the associated secondary effects are superimposed upon the otherwise gradual climatic trend, resulting in counter climatic trends, no matter where the initial state of the climate is although the further from the glacial/inter-glacial threshold the climate is the less dramatic the overall climatic change should be, all other items being equal. QUESTIONS: The recent Arctic Iris Effect offers an explanation to some of these questions in my opinion to a degree, along with the longer term Milankovitch Cycles. My conclusion is the climate system is always in a general gradual trend toward a warmer or cooler climate in a semi cyclic fashion which at times brings the climate system toward thresholds which make it subject to dramatic change with the slightest change of force superimposed upon the general trend and applied to it. While at other times the climate is subject to randomness being brought about from terrestrial /extra terrestrial events which can set up a rapid counter trend within the general slow moving climatic trend. . The decline in temperatures should begin to start to take place within six months after the ending of the maximum of solar cycle 24,if sub- solar conditions have been in place for 10 years + which we have now had. Again the solar wind will be needed to get to an average of below 350km/sec. which takes time because not only do the sunspots have to dissipate but also the coronal holes. In other words a long period of very low sunspots will be need to accomplish this. It will be a gradual wind down. The above accounts for abrupt climatic changes within a glacial or inter- glacial period. Dr. Curry this is similar to your stadium theory. Disappointed at what appears to be a complete lack of any numerical analysts or any consideration of numerical error in the special issue. It still seems like the interdisciplinary nature of the climate modelling problem is ignored and mathematicians are completely left out. Which is why this mathematician still insists climate models are good for about 2-3 months and worthless after (for prediction). Thanks to chaos weather models are good for a week or two, or less, sometimes not for hours when a storm track is the issue. Climate models are no good for any known period, certainly not for 2-3 months. I recently spoke about this at a forecasting conference, in which eight forecasters gave their winter forecasts for the US. No two forecasts agreed. Weather models say little to nothing about climate models. My understanding is that climate models have the same structure as weather models. That is sometimes used as an argument for their accuracy. Well, the solutions to circulation are chaotic, so future states, including global average temperature, are not predictable. At the same time, radiation is the only significant process by which earth sheds energy to achieve balance with incoming solar. And surface heating would appear the most likely response to an imbalance, because heating is a direct response. Some other processes could change the balance ( clouds could lower to become more effective at radiating, clouds could become more reflective, or more numerous, lapse rates could change ), but these processes seem less likely because they would be indirect processes. So over a period, warming would appear more likely, even if climate is not predictable. Maybe that does mean more focus on principles rather than GCMs. In 2 dimensions, vorticity is conserved by the Navier Stokes equations. In fact this is a method of numerical solution for the Navier Stokes equations in 2d. Weather happens over short periods in 2 dimensions, so those work for a bit. In 3 dimensions, the flow tends to shorter and shorter scales, and no numerical technique works. The chief physical mechanism is that vortices kink and break up into tiny pieces, which they cannot do in two dimensions. Weather eventually goes 3 dimensional and so predictions only work for a short time. The short scale flows add a sort of ersatz viscosity to the Navier Stokes equations viewed on a larger scale, and so you need the short scale motions to determine the large scale motions. Hence you can solve them in 3d, even on a large scale. “can’t solve them” it should have read. The main difference is that weather models have constant forcing and climate models have specified changes in the forcing. In the long run, it is those forcing changes that affect the outcome the most, especially if their magnitude is comparable with percentage changes in solar radiation. Ah yes Jim D, but in the long run we also have feedbacks, not to mention natural variability, each of which can negate the forcing, or even go the other way. This is why climate models are inferior to weather models, which are themselves not very good. But the evidence says that there have been major climate changes before and it is always the forcing that does it, so don’t discount forcing as a factor in long-term trends. Well I have to admit the 2-3 months was really just my estimate in how long it takes the solution to go to 100% error after which I cannot imagine any coherent logical argument could exist to claim ‘climate information’. I wouldn’t be surprised if, due to initial condition errors, etc… even that timeframe was poorly predicted (although I guess the climate would be the ‘same’ in 2-3 months as the initial one….). Certainly if there were to be some kind of predictive capability this would be the line of the argument. To demonstrate somehow that a reduced dimensional model tells the story would be the only possible avenue of predictability, because obviously the whole system is numerically impossible to integrate. But just stating a theory is not a proof. And the proof is likely nonexistant looking at the climate history, which shows that natural variability (which requires the whole system) is massively influential. The nomeclature ‘forcing’ I see as an attempt to hide the fact that there are nonlinear feedbacks throughout the system. The sun would be the only seemingly valid ‘forcing’. how can a scientific community that can’t agree on what has happened in the past 18 or 19 years, come up with a predictive regime for the future? It is not the scientific community, just certain people therein (and thereout). Nor is there any agreement on the prediction. But those predicting serious stuff will say that 20 years is irrelevant because they have 150 years to go on, plus some well chosen physics. which numbers shall we plug into the Predictatron? 1. The disagreements dont matter. Is the somewhere in Vegas where I can bet that long term weather or ‘climate’ predictions will be wrong? Watch the pea under the shell. Everybody is preoccupied by the climate change, by models and predictions in this area, but it is useless to discuss only the future whithout understanding the main cause of the climate transformation. My opinion is that the ocean and human activity on the ocean (mostly naval wars) has a big contribution in the matter. Aren’t we ignoring that? Shouldn’t we pay more attention to the ocean from now on? Talking about the global action, I suggest visiting http://www.1ocean-1climate.com. You’ll find a very interesting thessis on our past mistakes that should be avoided. Hello! My name is Maria, but I’m also following dr. Arnd Bernaerts research. Do you know his work? What’s your oppinion on that? I am sure this is not the last word. However they seem to be neowords. Somehow, I don’t think Judith will be highlighting this one for her readers. Now you are afraid of ‘space’? Today I know who I trust. Yes there is, I offered to show you key material, but you gave no reply. Ulriclyons is on the correct path like myself, along with these others to name a few , The Stadium Theory, The Arctic Iris Theory etc.,but of course hardly anyone will listen. The only theory that keeps going is AGW theory a theory which is wrong and will be proven to be so..
Should add biological chaos and modulation. Ecological processes probably sometimes synch to and modulate other climate phenoma and sometimes add chaos and cause shifts. And expect biology to synch to other phenomena in unexpected ways that don’t have an obvious evoluationary advantage. We need to throw away the assumptions of radiative budget balance and ecological equalibrium. Ecological processes probably sometimes synch to and modulate other climate phenoma and sometimes add chaos and cause shifts. An example being dimethyl sulfide (DMS) production, which may well be responsive to much more than temperature: dust-driven fertilization, pH change, changes to stratification, etc. The Stadium Wave and the Arctic Iris effect are both internally driven postulates for a process that in reality has solar causes. Speaking of dust storms, see the satellite photos of the Mid East dust storm Roy Spencer posted? So ‘Mars is “a fixer-upper of a planet,”‘. “All it takes is the Mars equivalent of global warming or, if you’re in a hurry, nuclear bombs.” Just a few H-bombs applied its poles to get it started warming up and hospitable for humans. How’s this for an extreme comparison of global-warming to something? Actually, it would probably be more effective to drop some comets on it. You’d get the energy, and also plenty of hydrogen, which Mars seems to be short of, as you’d expect given its small planetary mass. Relevant to this topic, Michael Mann just published this op-ed on the fat tail. In this, he is very critical of a Quartz article yesterday by Alison Schrager, but if you read that article, her view is actually moderately activist, and not opposed to climate policy, so it looks a bit harsh to me. He picked on a quote of his that she may have misinterpreted slightly related to his criticizing Gavin Schmidt for focusing on the center of the distribution. Bottom line, Mann has been criticizing even some of the moderates lately. OK, so if I understand this correctly, 1 in 4 homeowners will experience a fire. This statistic is drawn from historical records of house fires. How many in 1,000,000 Earths will experience catastrophe due to ACO2? Where’s the historical record for that statistic? He says even if it is only about 10% (>6 C at 700 ppm), this is the level of risk people routinely insure against for other things. Difference being, he doesn’t have a clue what the risk is. Insurance is fine, but it’s f00lish to buy a massively overpriced policy for a low-probability risk from a crooked Mann. Some skeptics don’t want anyone else to get insurance either because they are so sure they are right about the degree of climate change possible. It’s a very certain attitude and completely opposite to the idea of planning under uncertainty. You can get any sort of insurance policy you want; just don’t use my money. Including money stolen as taxes. This might be a case where “skeptics” could properly be put in “scare quotes”. But when it comes to the type of insurance, and how it’s handled, anybody involved in the economy and/or taxation structure is entitled to demand some effort to minimize cost while maximizing the benefit. What I see happening here is that the most extreme “alarmists” are separating from the more pragmatic “climate worriers”, demanding their own solutions to the “problem” and denigrating anybody who even questions their “solutions” as “deniers”. “Cap-and-trade” won’t work (as several analyses discussed at Climate etc. have shown). Carbon taxes won’t work, without being so high they’ll never be accepted. So, the need is to look for other solutions. Research and Development are obvious, although I’ve seen some good analyses suggesting they’re not enough. I’ve proposed a few ideas, e.g. here. I don’t insist on them, but offer(ed) them as examples of the sort of innovative, “out-of-the-box” thinking needed. But IMO Schrager is right that overstating the case works against it. Pingback: Weekly Climate and Energy News Roundup #196 | Watts Up With That?